Enjoy the tastiest fish and chips in south County Down. we serve superb fish and chips as well as delicious burgers and pizza. Our success comes from our commitment to quality, so the next time you are near Kilkeel, why not come and sample some? Have you got Google Earth on your computer? If so, then download the Google Earth Map of Pit Stop Fast Food. 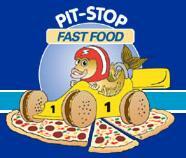 Is this the wrong position for Pit Stop Fast Food? If you think so, then modify its position. Best fish and chip shop in NI, BEST ALL ROUNDER. Love it !!!! !